This is a weekly recap of the events happening every week at the sessions of D&D Encounters at my FLGS in Elliot Lake at Sights&Sounds Music Store. This week and for the remainder of this season, I will be posting weekly recaps in the form of a podcast, to see how it takes off. The feedback has been good so far and let's see how it goes until the end of the season. Following the success the characters had in defeating the drow and defending the patrons of the Old Skull Inn, the characters receive a message from an important individual in town which bids them on to bigger and better things. Rushing to the tower of Ashaba, tracks of the remaining drow lead them to the cellar under the tower. They encounter a dead-end, discover a secret entrance and battle an ambush party of Drow. The party learns of Valan Jaelre. Having survived the ambush, the characters are put to the test before their grand entrance to the Underdark. 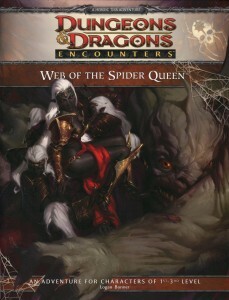 The characters pass the tests of Lolth and enter into the Underdark proper and encounter an elite strike force of Jaelre. 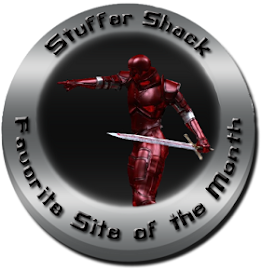 This week the characters storm the trading post and many things can happen at this point. This week, I join Derek Myers from Dungeon's Master at Dueling Grounds in Toronto to talk about stuff that happened at the table. Take a look at the treasure sheet provided by Ameron at Dungeon's Master. Each session will be summarized and these handouts can be given to your players every week. This prevents losing time during gameplay for the amount of treasure received every week. If you have any comments on improving the sheet, leave a comment and I will get it back to Derek, or just go to Dungeon's Master and contact Ameron himself. If you like the podcast please leave a comment below. Thanks for visiting and until next time, have a BLAST!